There are currently 90,575 users on this website. Stunning work of art Steve! Wow Steve that is amazing and in such fantastic condition! Thanks for posting it. Thank your for sharing that, Steve. I picked up George and Abe when I was a kid of 12-13. Since then, I have all the Main ones; still missing a couple of the Special tickets. Looks like you have the whole series TNG. Some of these can be kinda pricey. Nope, still need the Handel Music Admission Ticket. I'll get it eventually. These are wonderful tickets, thanks for posting. 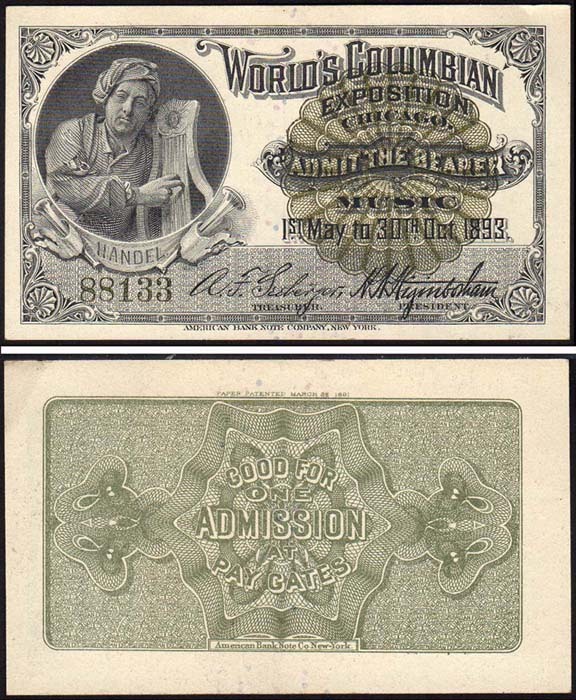 I have the full set of six engraved tickets that were printed by the American Bank Note Company. It took me many years to find the Handel ticket at a price I considered reasonable. 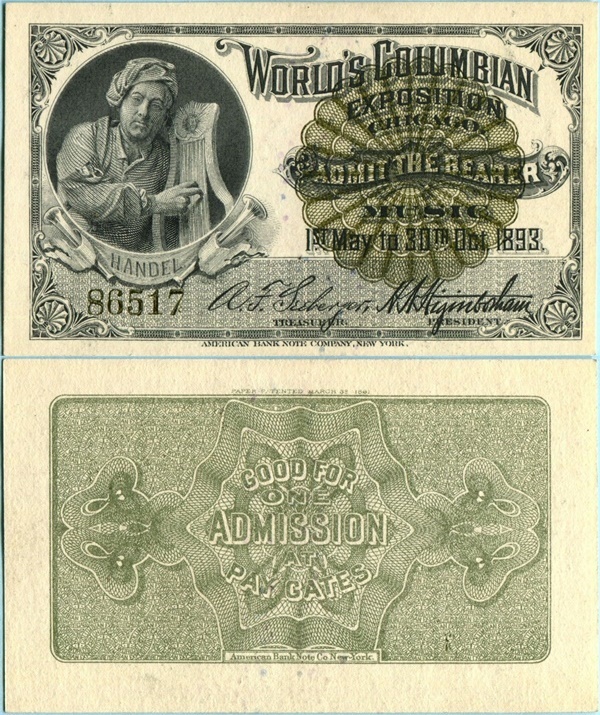 You used to be able to buy any of the four common tickets for about $15 or less. 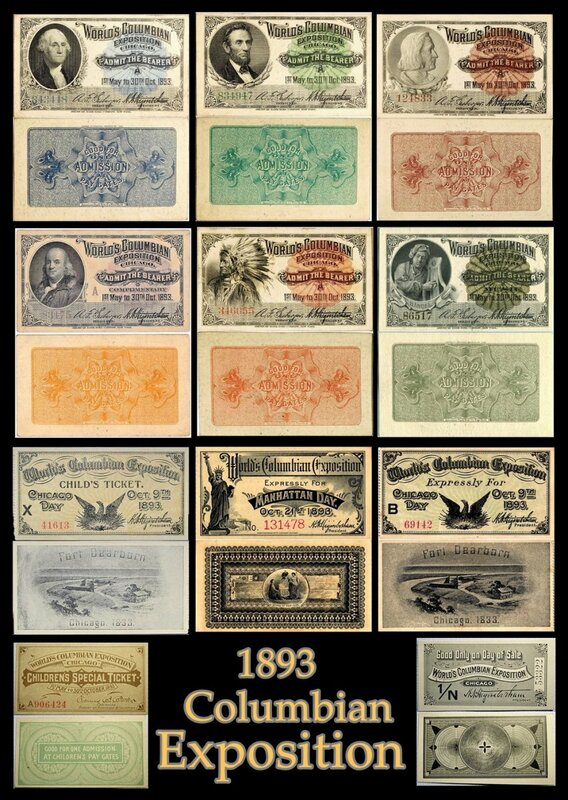 All have gone up considerably since the third party grading companies began slabbing them as they do coins and paper money. Notice there are "A" on some printings. My Franklin has the "A". So even with the main 6 tickets, one could collect 12. Those with A and those without. The A indicates that these were "group tickets" originally sold for package tours and the like. Individual tickets sold at the gate didn't have this letter. Only the Music tickets (Handel) were not sold in bulk, which is why they became harder to find. There were a large number of A tickets remaining after the fair, so they were sold as complete sets for anyone who wanted to them as souvenirs. The original envelopes the set came in are now quite rare. A nice contribution to the theme, GregAlex! We are getting quite the information thread going here. Thank you very much! I have seen the empty envelopes but they don't do much for me. I can't get into the fair with an empty envelope! Is the souvenir card uniface? 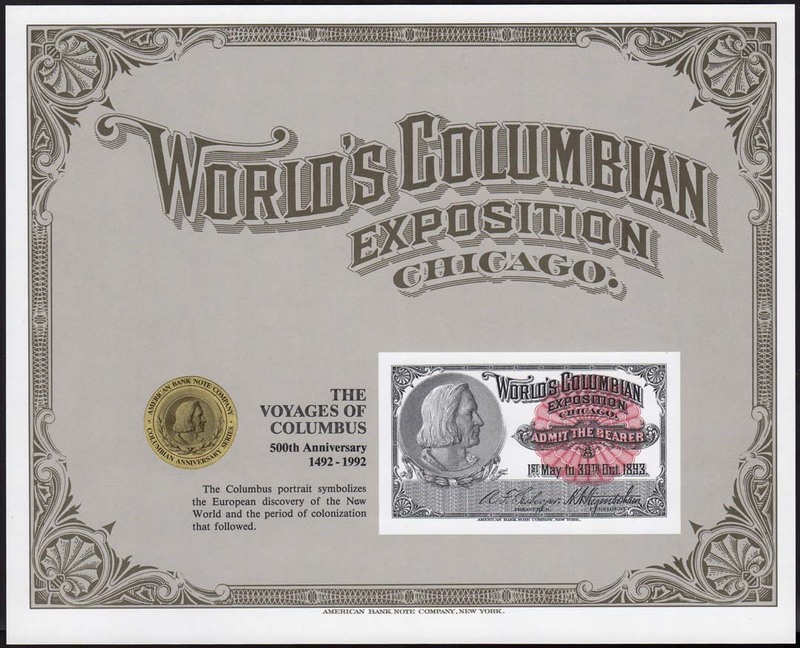 I would be leery of a cut ticket being sold as an error or missing serial number. 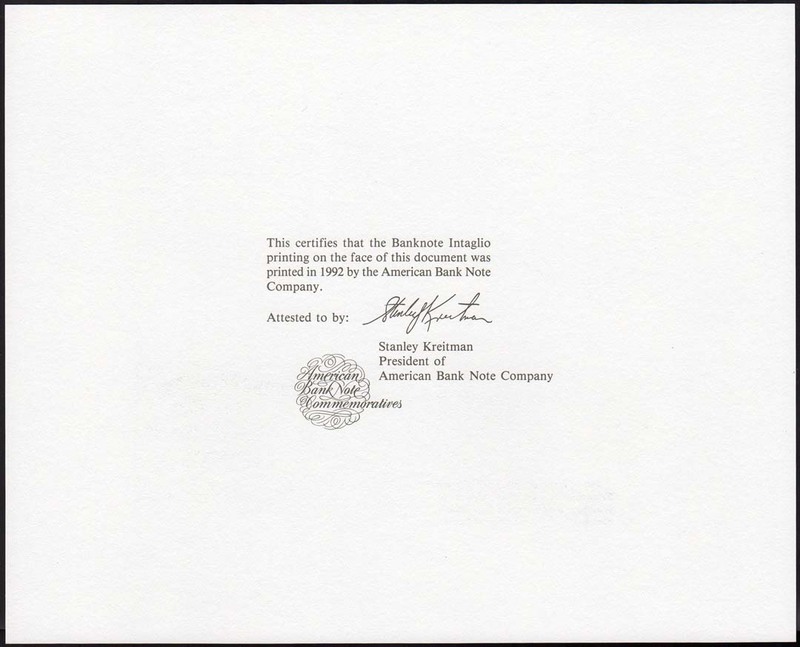 American Bank Note typically printed a "certification statement" on the back of their souvenir cards. These have it and even though the ticket isn't centered, it does catch the logo and a bit of the lettering. But I'd be surprised if anyone tried that. The set runs about $125 retail, so there's enough value in them to deter someone from chopping them up. Thanks GregAlex, Now we know what the back looks like. Nice item! And so ends another quest of "set" assembling. I picked up my Handel ticket tonight. My set, considered complete enough for me. The original envelopes the set came in are now quite rare. Is this the envelope you are referring to? I have learned recently that there are three variations of these envelopes. The one shown above IS one of them. Another has controls split with a hyphen and the rest of the word begins on the next line. The third has the word controls spelled incorrectly.